The 18th Annual Lobster Boil Was A Great Success! Home Blog Posts The 18th Annual Lobster Boil Was A Great Success! Rochester, MI (October 10, 2016) — The Rochester Junior Woman’s Club is grateful to all of the community members who came out to support their 18th annual Lobster Boil Fundraiser on Saturday, September 24th. The event was a great success, selling more than 1200 lobsters! The live New England lobsters were flown in fresh early Saturday morning and members of Rochester Junior Women’s Club cooked, wrapped and had the lobsters hot and ready for customers at the Older Persons’ Commission drive-thru site. “Customers pre-ordered their lobsters and then they just drive up to the OPC at their chosen time and their lobsters are given to them! 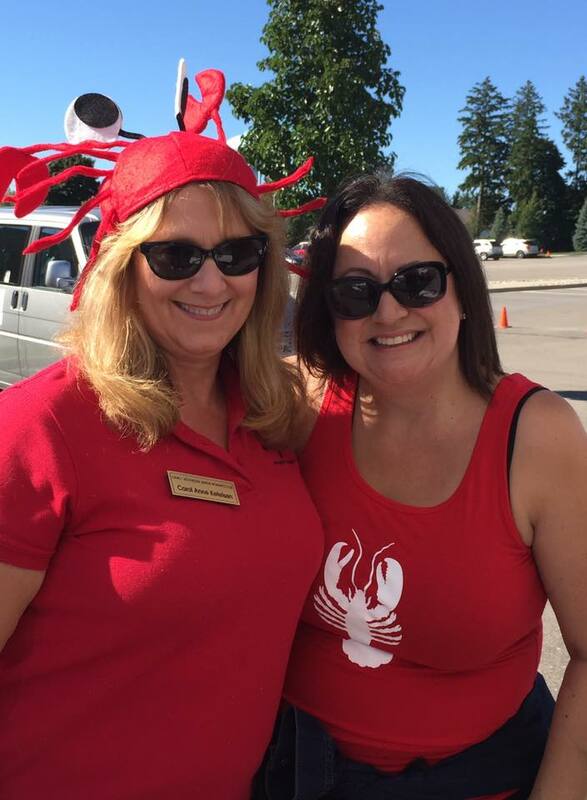 They don’t even have to get out of their car,” said Karen Geibel, co-chair of this year’s Lobster Boil. “And, if you happened to miss out on ordering your lobsters this year, make sure to mark your calendar for the last Saturday in September each year!” Geibel chaired the event with club member Lisa Geiger and co-chairs Sharon Heussner and Donna Affeldt. The club members also received help from Boy Scout Troop #60 who came again this year to help set up and tear down the event site. Proceeds from this years’ Lobster Boil went to benefit Neighborhood House, Dutton Farm, Paint a Miracle and Older Persons’ Commission (OPC). Neighborhood House will use the funds to aid their Capital Campaign Program for their new facility located at 1720 S. Livernois and provide the Rochester Junior Woman’s Club with the unique and historic opportunity of having a Counseling Room named upon behalf of the club. Dutton Farm plans to use funds to expand their integrated employment program. They want to lay the groundwork so that businesses understand the benefits of hiring people who have developmental disabilities and to see people with disabilities embraced in the integrated workforce. Paint a Miracle will use the grant funds to provide scholarships for low-income individuals to attend Paint a Miracle art classes. Paint a Miracle accepts all disabling conditions no matter how significant the challenge. They also accept participants regardless of their ability to pay. And, the OPC funds will support their Meals on Wheels program for seniors unable to shop and/or prepare meals. Volunteers provide a wellness check in addition to delivering hot nutritious meals to homebound seniors seven days a week. For more than 60 years the Rochester Junior Woman’s Club has contributed to the growth and vitality of the community through volunteer service and donation of funds to local charities and organizations. Since its inception, the Rochester Junior Woman’s Club has donated more than 1 million hours of community service and raised more than $910,000 to support the local community. If you are interested in learning more information about the club, please Carol Anne at (248) 266-2913 or RochesterJuniors@aol.com. You can also visit their website at https://RJWC.org or follow them on Facebook.